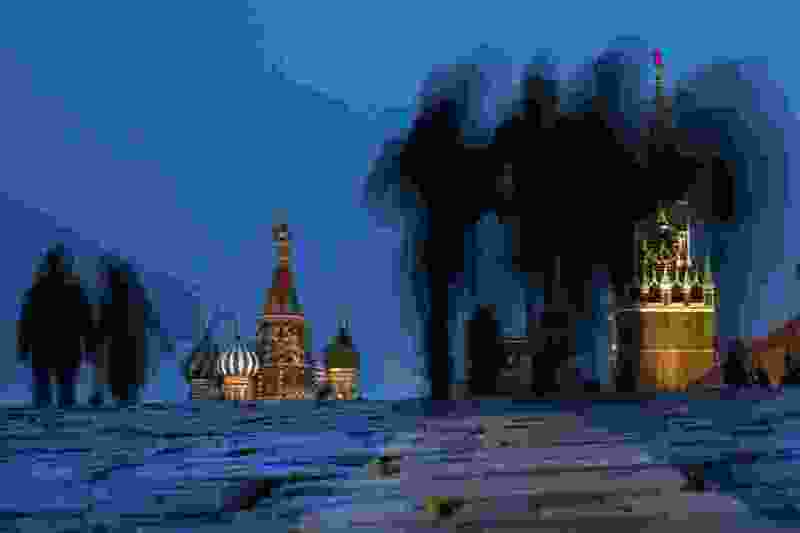 (AP Photo/Alexander Zemlianichenko) People walk through Red Square after sunset in Moscow, Russia, Sunday, March 3, 2019, with the St. Basil's background left, and the Spasskaya Tower, right, in the background. More than two weeks after missionaries for The Church of Jesus Christ of Latter-day Saints were detained in Russia, the two remain in custody. Eric Hawkins, a spokesman for the Utah-based church, said Monday there had been no change in the status of the two young men, called “volunteers” in Russia to comply with laws in that country. One volunteer has been identified by his father as Kole Brodowski, of Garden Grove, Calif. Articles from Russia, citing court records there, have identified the second volunteer as David Udo Gaag. His Facebook page says he is from Bothell, Wash., and was assigned to the mission in Rostov-na-Donu, Russia, on the northern tip of the Black Sea. Hawkins said the men were detained the night of March 1 during a meeting at a local church. A March 7 statement from church headquarters in Salt Lake City said a court ordered the men to be deported for teaching English without a license in violation of their visas. “The young men are in good spirits, are being treated well, and are in regular contact with their mission president and their families,” Hawkins said in that statement. In 2016, Russian President Vladimir Putin signed into law an anti-terrorism measure that restricted proselytizing by religious groups. Latter-day Saint missionaries began calling themselves “volunteers” to comply with the new rules, and the church reduced the number of missions in the country.